This model is the Maxwell No. 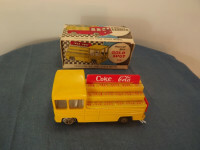 547 Coca Cola Truck in yellow livery. It comes packed in the original Maxwell Mini cardboard box. It is highly unlikely Maxwell sought a licence to produce the item and later versions can be found with a variety of advertising but all are yellow trucks. The model has no opening parts and is rather crude in its styling as is common with some of the Maxwell commercial vehicles. 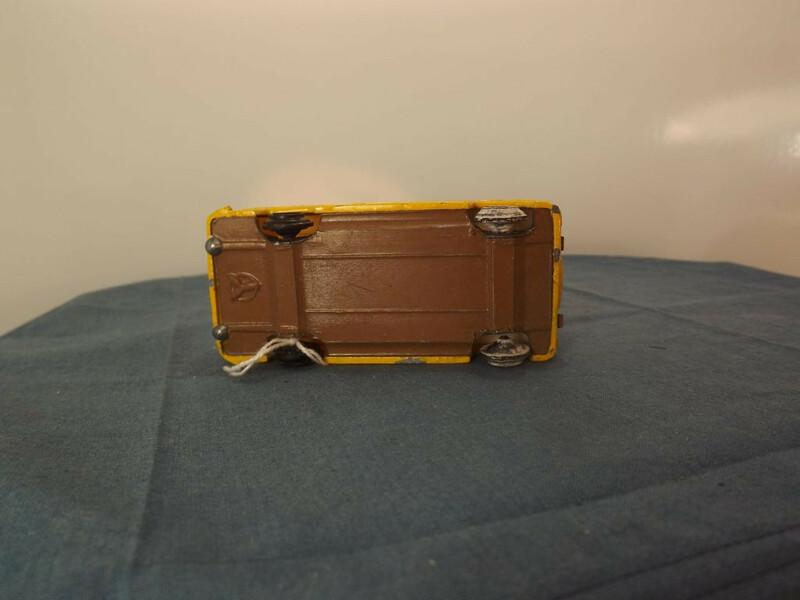 The vehicle body is yellow cast metal with the front lights, grille and bumper mask sprayed in silver. 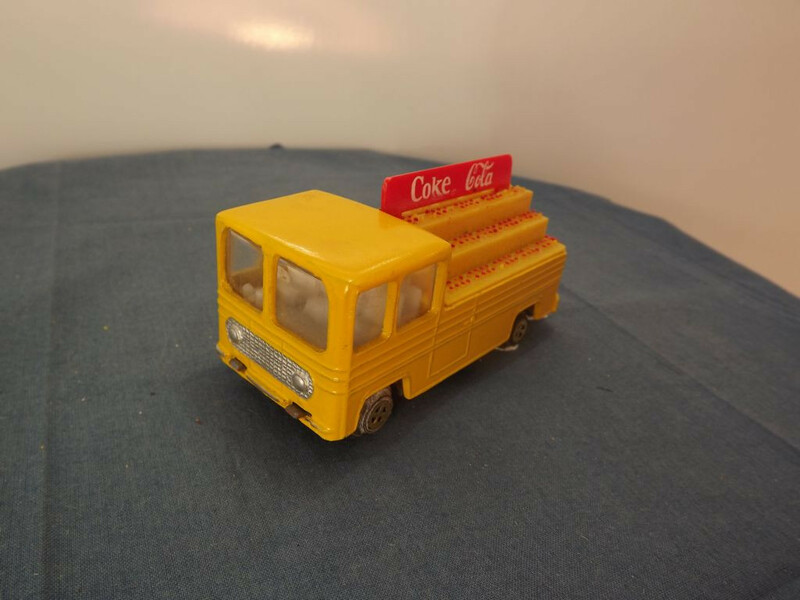 The rear body has a yellow plastic shape fitted into the rear body that represents the stacked crates of bottles. This insert is completely yellow except for the red "bottle caps". A red plastic advertising hoarding is slotted into the top of this insert with white "Coke" and "Cola" (in the original Coca Cola script) lettering on both sides of the board. 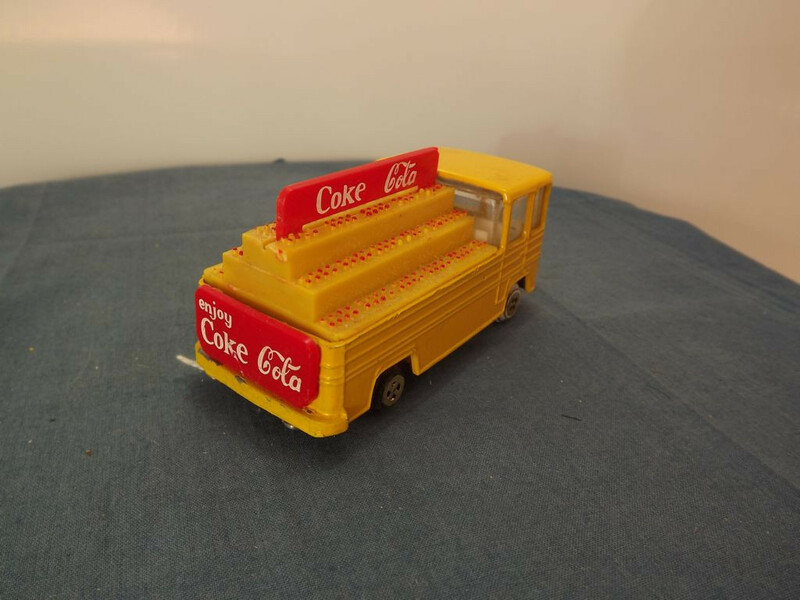 The rear tail gate also has a red plastic hoarding that reads "enjoy Coke Cola". The interior and seats are white plastic, and the glazing is clear. 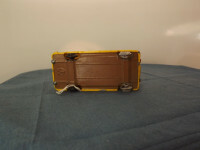 The baseplate is brown painted metal, held in place by two machined rivets at the rear and two body locating lugs at the front. It is marked with a raised circle containing three "leaves". I am uncertain as to when this was released.